Buy Golden Icehalwa of Ajit Sweets from Mumbai online | Authentic Indian Sweet , Savories and Delicacies from the place they originate by Moipot. 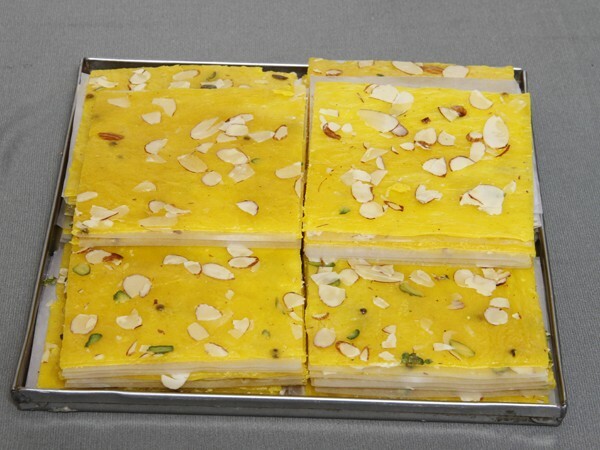 If you are one with a sweet-tooth, you should definitely try golden icehalwa by Ajit Sweets. The wonderful aroma of saffron (kesar) which gives it a nice golden colour as well, the fragrance of fresh ghee and ground nuts on top will make you come back for more. This certainly is a treat for your taste-buds!